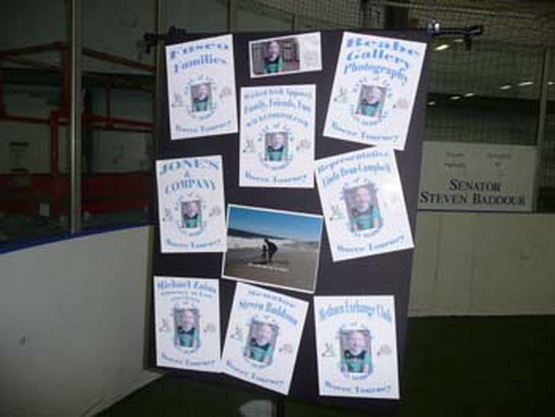 Here’s a fund-raiser that we put together on short notice that turned out extremely well. Three-year-old Logan qualified for an expensive stem cell procedure in Dusseldorf, Germany which has had great results treating cerebral palsy. 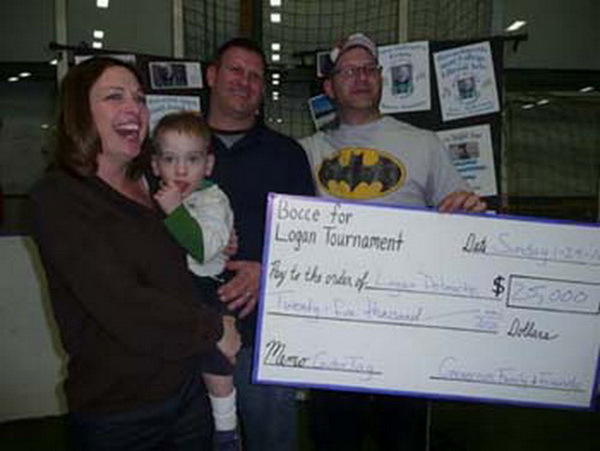 So, family and friends as well as local businesses mobilized for a good cause. 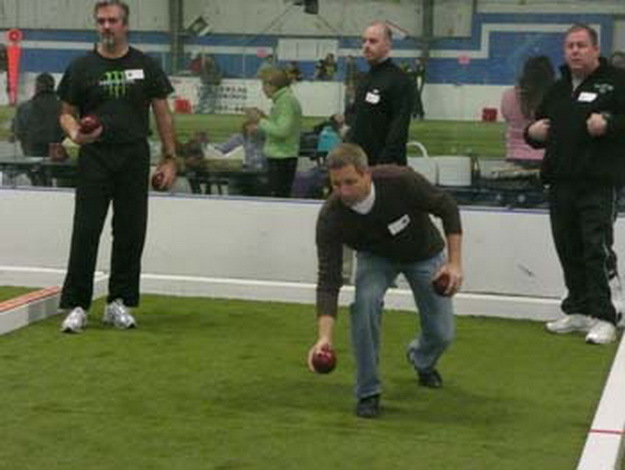 Feel free to copy the model as outlined in the photos below and run a similar bocce event for a good cause in your neck of the woods. 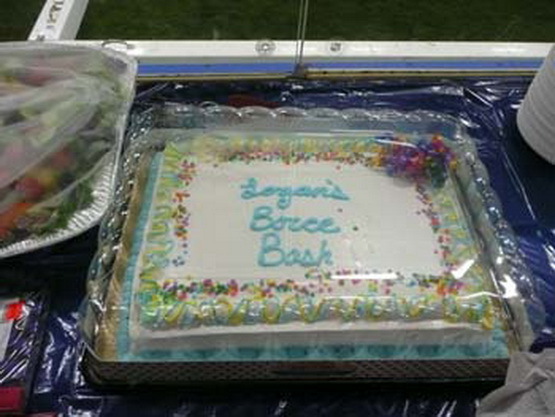 Special thanks to Greg Debrocke and Carmela Pagnoni for their photos. 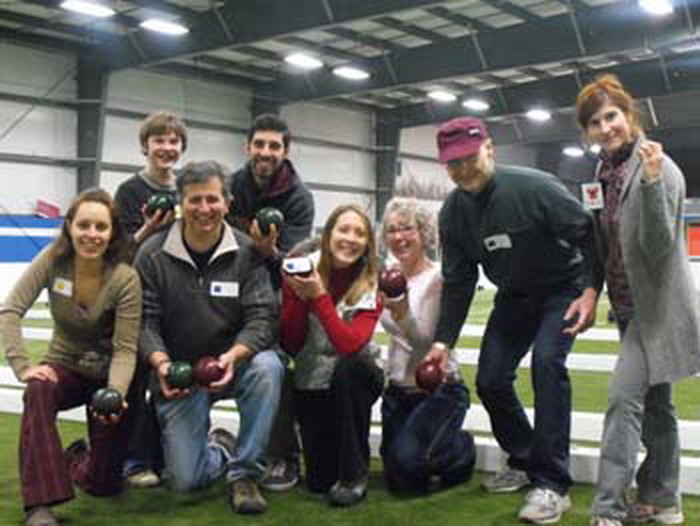 Click here: Logan’s Bocce to see all the photos. We set up the venue the night before. Ten courts to accommodate twenty teams. All play at the same time – no down time. Four courts are our usual 12 by 80 footers made of vinyl fence posts and the other six are 12′ by 60′ templates from Backyard Bocce. 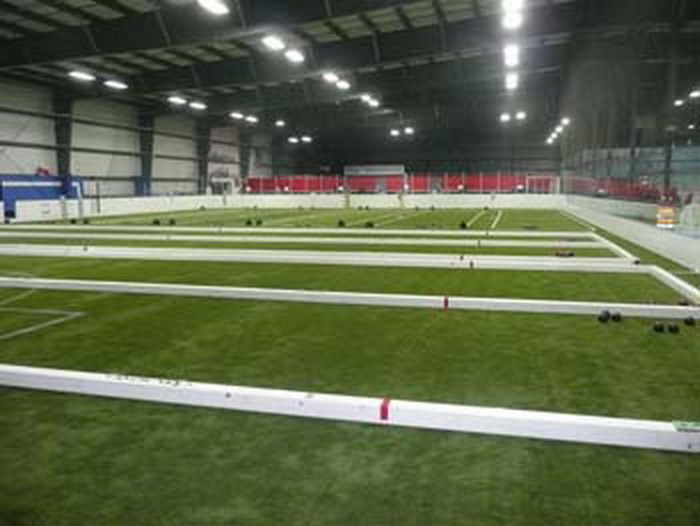 The venue is an indoor soccer field at the PhanZone in Hampstead, NH. Make sure the sponsors get some ink and encourage people to patronize their establishments. We need to support the businesses and individuals who support us. 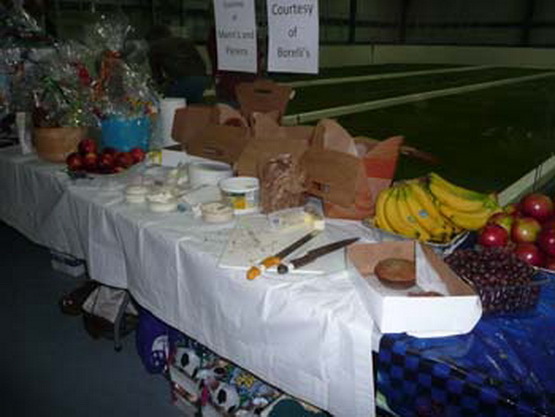 Fresh fruit, bagels and creme cheese and pastry from Mann Orchards. 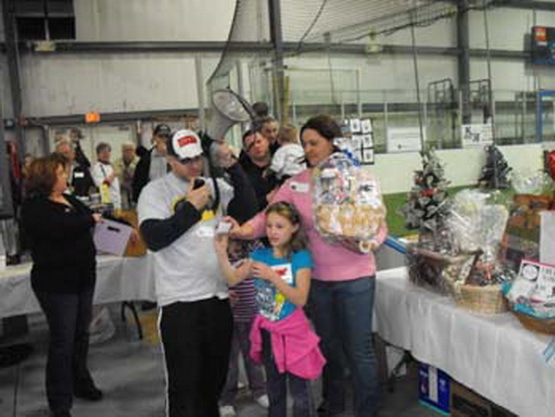 Gift baskets to raffle off are always a good idea. 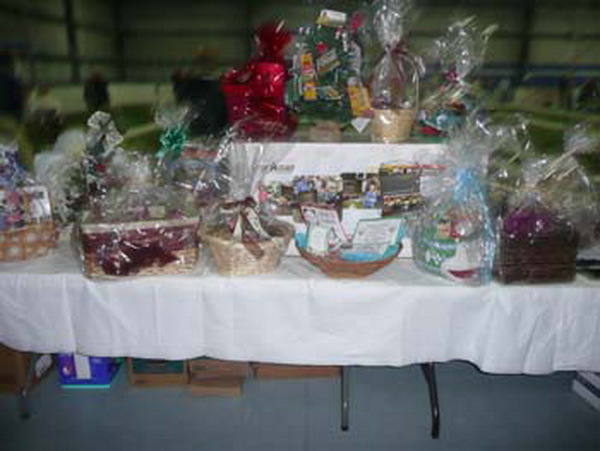 We also sold raffle tickets for Boston Red Sox and Celtics games (got the tickets donated). 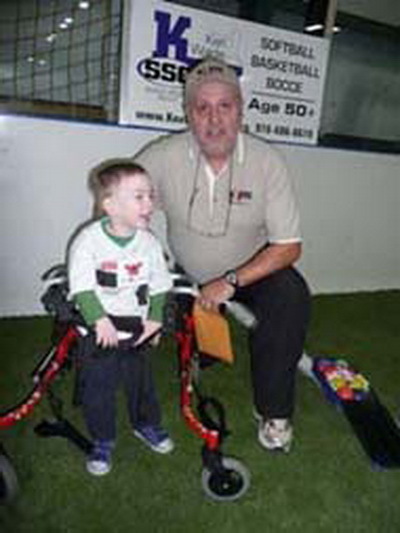 The Bocce Guy with his good friend Logan. We used the Bobby Valvano charity tourney format and our old standby – color coded teams. Click Color Coded if you want to see how the color coding works. Also, see Back Issues, Vol 4 – issue 38 for details on the Valvano format. We get everybody together, make some introductory comments and thank-yous, then explain how the day will play out. With more than 125 people in attendance, sometimes we need a bull horn or megaphone. Veteran player and major sponsor Ralph Bagarella (Latitude Sports Clubs) makes a roll. With our charity tourney format, we are done and ready for lunch promptly at noon. After lunch we draw the winners for our numerous raffles. The bottom line = 25K – that’s no typo. What a bonus when we can use the game we love to help the people we love! 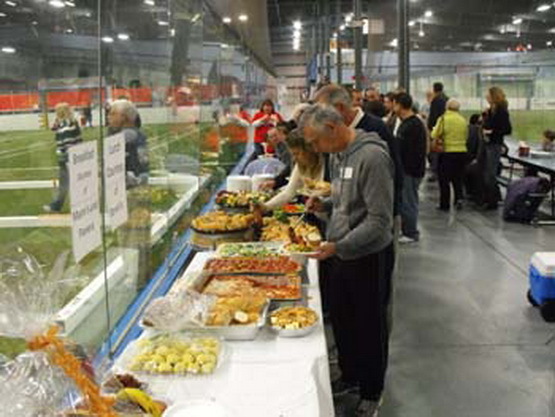 This entry was posted in community, general bocce and tagged Bobby Valvano charity tourney format, bocce fundraiser, charity, charity tournament, charity tourney format, color coded teams, for a good cause, Hampstead, helping the people we love, NH, pastry from Mann Orchards, PhanZone, raising 25k, raising money, stem cell procedure, ten courts, treating cerebral palsy, twenty teams. Bookmark the permalink.